For stimulation and detoxification of the spleen and liver, supporting spleen function and promoting a healthy metabolism. This homeopathic remedy also helps regulate the function of the digestive organs, which in turn stimulate the entire intestinal tract. May be indicated for patients with severe illnesses. 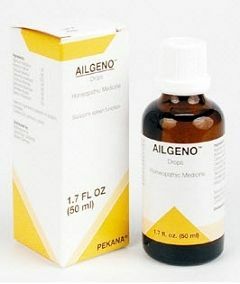 For best results, AILGENO drops should always be used in conjunction with apo-HEPAT drops, RENELIX drops and other PEKANA medications. Other highly provoking remedies, such as Septonsil , Specichol and Toxex. INDICATIONS: To improve the spleen efficiency and its detoxification. ADEL 34 (AILGENO) drops specifically stimulate and detoxify the spleen to eliminate focal infections and old deposits of toxins. This unique medication also helps treat anemia, gastritis, diabetes, eczema, herpes, chronic infections, chronic weakness and cachexia. It stimulates the entire metabolism. 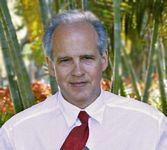 The few homeopathic combined in ADEL 34 treats spleen dysfunction and intoxification, although this organ plays a vital role in immune system response. In fact, some chronic diseases can be extremely difficult to heal unless the spleen is also treated. It is notable that ADEL 34 drops stimulate a healing process that can result in an amazing excretion reaction not seen when using allopathic medications such as antibiotics. For example, an old Hepatitis epidemica can be healed. This preparation also can successfully treat therapy-resistant chronic conditions. For best results, ADEL 34 drops should always be used in conjunction with ADEL 3 (apo-HEPAT) drops, ADEL 22 (RENELIX) drops and other ADEL medications. Abnormalities with hematopoesis (the development of blood cells) due to unresolved burden of toxicity on the spleen. Agaricus muscarius 4X treats stomach-intestinal irritation accompanied by stabbing pains in the spleen. It also is indicated for treatment of epileptic cramps and poor circulation in the extremities. In addition, this medication can help resolve latent tubercular processes. Carduus marianus 15X helps regulate spleen function and is invaluable for restoring the organ back to health. It also aids intestinal excretion of toxins and metabolic waste products. Ceanothus americana 4X is primarily used to treat the spleen, especially in cases where anemia and liver damage are present. This substance also enhances the blood's coagulation abilities and helps treat tumors of the spleen. Cinchona officinalis 6X is an important herb for treating illnesses of the liver and gastrointestinal tract. In addition, it helps heal an enlarged spleen and plays an important role in restoring the organ's ability to regulate properly. Glechoma hederacea 6X stimulates the entire metabolism, and is important for patients who suffer from afflictions of the liver and spleen. The unique substances contained in this plant, including essential minerals, make it an excellent addition to spleen therapy. Grindelia robusta 6X is a classic spleen preparation that also helps in the treatment of diabetes, and can help effectively resolve a wide range of chronic infections, including malaria and various types of herpes. Natrium muriaticum 12X effects deep changes in nutrition when used generously as a food additive. It also is useful in treating dry mucous membranes and chronic infections that affect the liver and spleen.